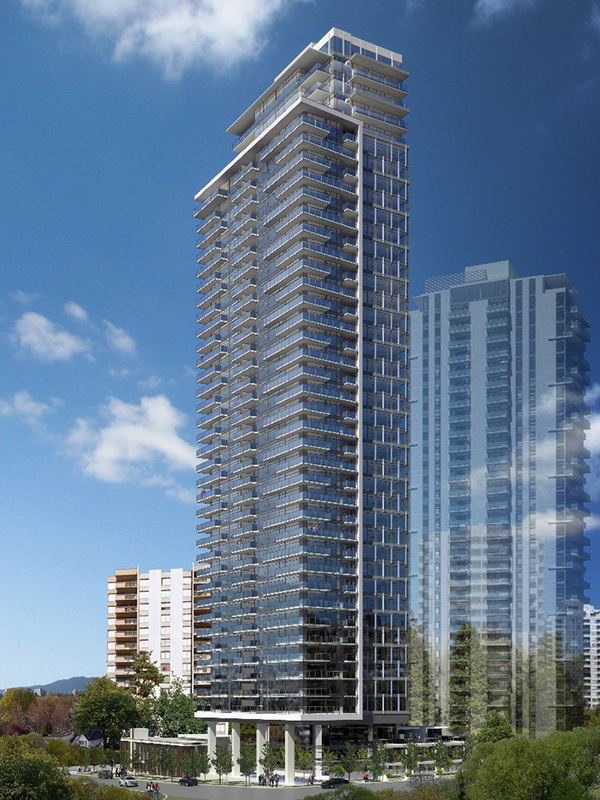 An exciting new landmark high-rise is coming to the Burnaby Metrotown real estate market! Townline presents Sussex Condos, a new 41 storey high-rise residential tower in the herat of Metrotown Burnaby offering a distinguished collection of one, two and three bedroom residences. Located on a tree-lined street that is safe and quiet, the Metrotown Sussex Condos are situated at Sussex Avenue and Hazel Burnaby (just north of Kingsway). Residents can enjoy an enviable location that is just steps (actually a single block!) from the shops, services and restaurants of Metropolis at Metrotown, Central Park, top ranked schools and universities as well as the SkyTrain station that will connect you to downtown Vancouver and out east. The new pre-construction Burnaby Sussex Condos will also be set back from the hustle and bustle of Kingsway, giving you a quiet enclave to come home to. Featuring modern and elegant architecture, The Sussex by Townline Group of Companies will also feature impressive luxurious high-end finishes inside with thoughtful and functional floor plans for today’s urban living. The building itself will also feature great amenities, generous outdoor living spaces, underground parking and impressive views in all directions. The 41 storey landmark Metrotown Sussex condo tower will feature approximately 320 presale condos as well as a few three level townhomes. The Sussex Burnaby condos represents a unique a good buying opportunity in one of the Lower Mainland’s most desirable residential areas that is still affordable and well connected to the rest of the city. The site location is at 6050 Sussex Avenue Burnaby and the estimated completion date is before 2020. The presale Metrotown Sussex Burnaby condos by Townline will be situated at the junction of Sussex Avenue and Hazel Street. Just across the street (Kingsway) is Metropolis at Metrotown and within a short walking distance, you will find numerous bus routes as well as the Metrotown SkyTrain Station. Marlborough Elementary School and higher education are nearby as are major parks and big box retailers. Also nearby is the Burnaby Civic Square, recreational pursuits, community centres and Crystal Mall. 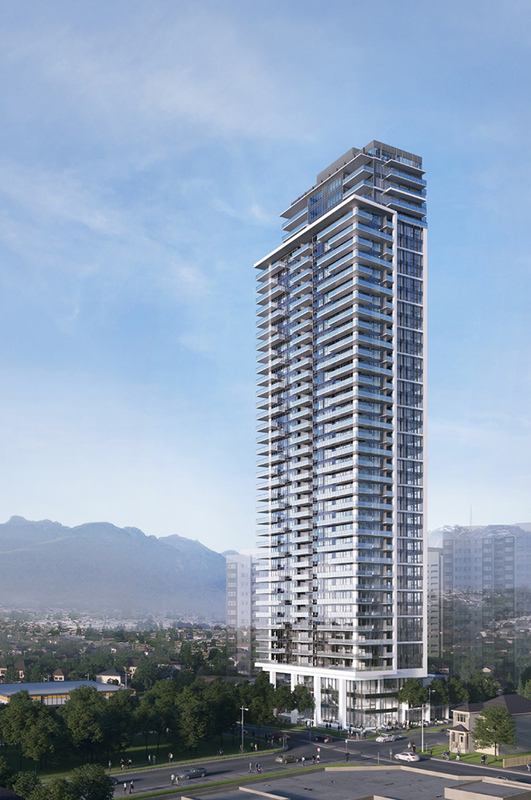 Introducing: Sussex Burnaby Condo Tower. An exclusive, 41-storey residence coming soon to Burnaby’s Metrotown neighbourhood. The sophisticated collection of homes at Sussex Metrotown offers all of the advantages of living in the vibrant heart of Metrotown, but with the difference of being in a quiet, tree-lined community on the corner of Sussex & Hazel.